Beautiful Barn Owls have lived alongside people for thousands of years – now they need our help to survive. Many Barn Owls cannot find enough places to hunt for food, nest and roost and they are becoming rare in the UK. The way we all live, travel and the things we buy have changed the countryside around you a lot over the last century. There are lots of things you can do to help the environment and make sure Barn Owls have places to live and find food. Know your stuff! 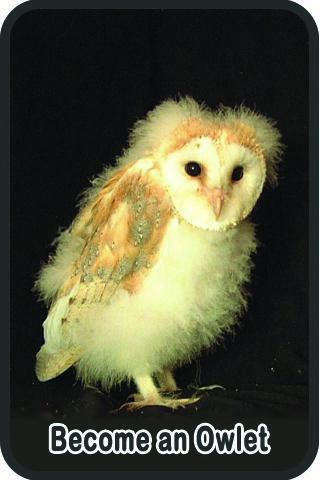 Learn about Barn Owls and the countryside they live in and find out how to help look after our amazing natural world. These fun pages are a very good place to start. Re-use, repair and recycle. Most people in the UK throw away their own body weight in rubbish every 2 months! Think before you chuck something in the bin – can it be used again or recycled? How can you help to reduce waste? Switch off. Don’t leave the TV, computer, or lights on. By turning them off when they’re not being used, your family could save enough money in a year to treat everyone to a fun outing! Get fit and meet friends! Walk, cycle or get the bus to school – or go in the car for part of the way, meet up with friends and walk the rest. Grow your own greens. (Organic of course…) Nothing is more yummy than a snack you’ve grown yourself! You could try radishes or runner beans in a patch of garden, a tomato or strawberry plant in a flower-pot on the windowsill, or growing bean-sprouts in a recycled jam-jar, You might even discover a new vegetable that you love! There are lots of other ways you can be ‘green’ – send us your favourite ways to help save our planet to ‘Green Owls’ (info@barnowltrust.org.uk) and we’ll put our favourite ones on the website!